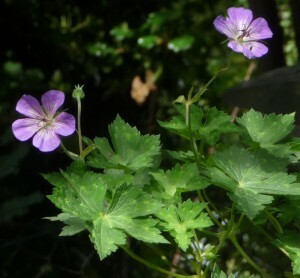 This cultivar of Geranium wallichianum produces handsome matt green leaves with cream spots. In June, OPAL BLUE flowers with WHITE centres rise above the leaves and the plant spreads itself out on ever-elongating stems in all directions. ‘Buxton’s Variety’ brings forth a succession of flowers which last until the first frosts. A steady clientele of bees visits the flowers. Hardy Geraniums are low maintenance plants, asking only moist, well drained soil in which to get their roots down. They are drought tolerant once established, providing ground cover & erosion control. Cut or pinch off spent flowers as you find them. 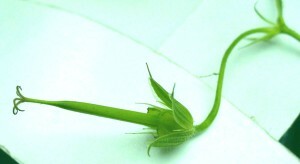 When the plant becomes ragged, cut stems back to within a few inches of the ground. 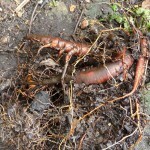 Adding organic matter such as shredded leaves will regulate the soil temperature & conserve moisture around the roots. 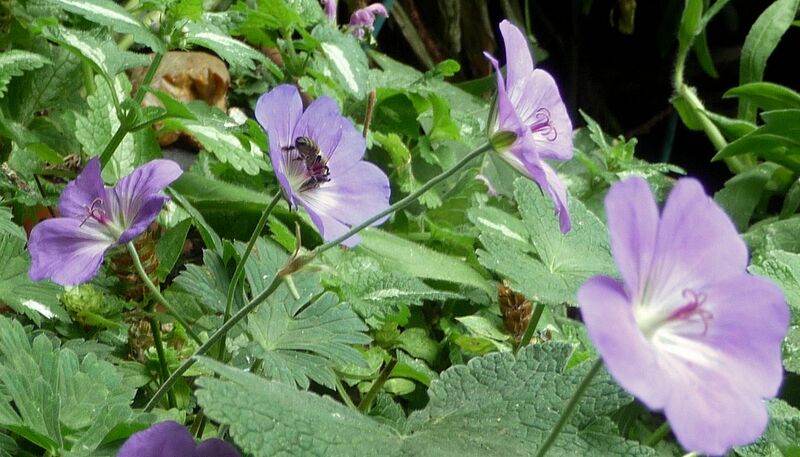 In its many years in the Highbury Wildlife Garden, this cranesbill suffered from no pests or diseases, bringing in many a bee. But its habit of extravagant growth all round meant that ‘Buxton’s Blue’ swamped its smaller neighbours unless deterred by the gardener. A few years ago, the plant was dug up & put in a tall container. Its vegetation could now cascade over the sides of its new home; the container could be moved when ‘Buxton’s’ growth threatened to invade another plant’s territory. This arrangement has worked well. 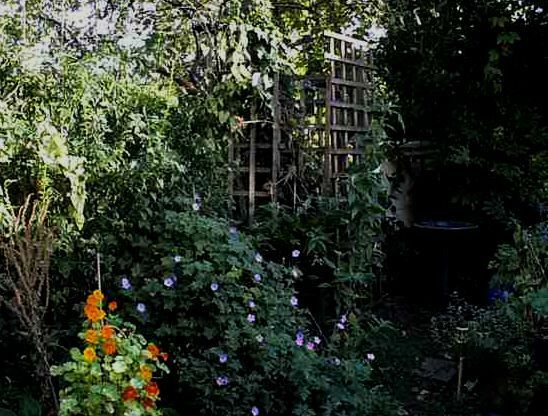 Two years ago, ‘Buxton’s Blue’ was overwatered in its container; because of waterlogged soil it had to be dug up and replanted with better drainage. This cranesbill does not seed itself round the garden; it grows from a taproot (right). 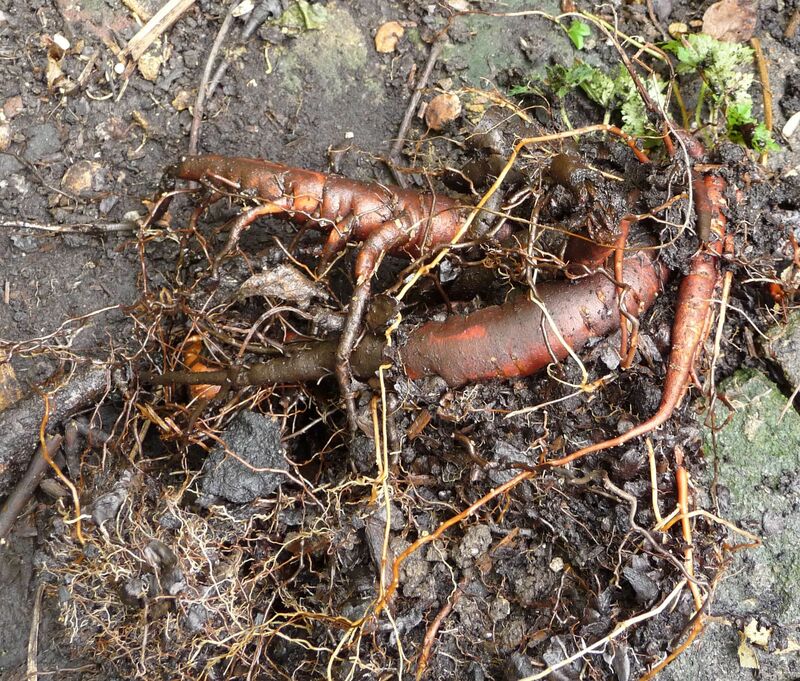 After years in the ground, the taproot resembled small reddish carrots. 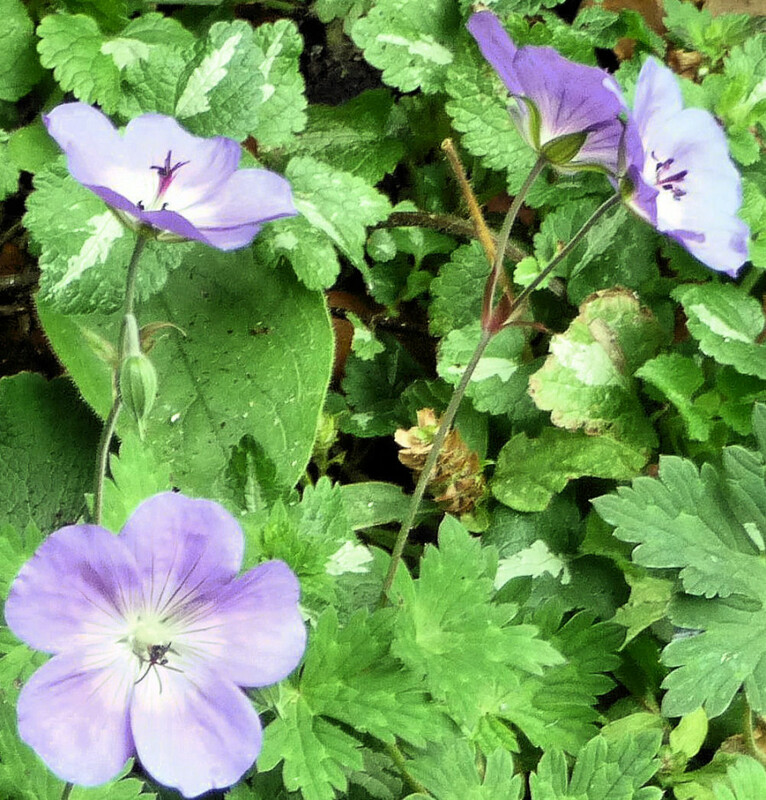 Thankfully, our exotic Geranium from the Himalayas has survived & had a good flowering season in 2015. 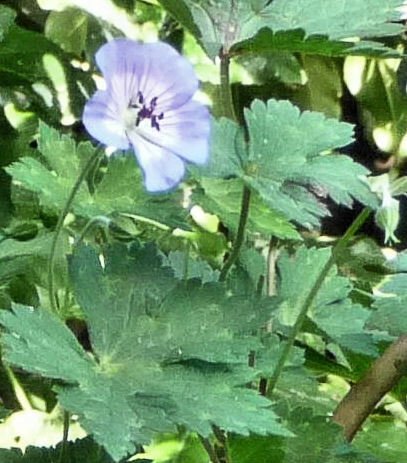 We are currently trying a similar but larger-flowered Geranium, ‘Rozanne’ (popular with bees, see below). She seems more robust than any of the others, and we would recommend allowing her room to roam, and keeping an eye on her.